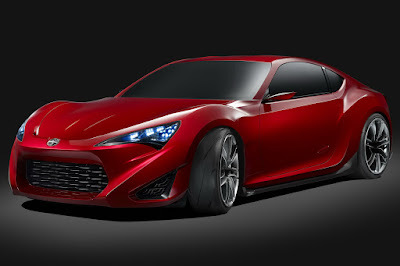 日本自動車デザインコーナー 「Japanese Car Design Corner」: First official images of Scion FR-S (FT-86) Concept!!! First official images of Scion FR-S (FT-86) Concept!!! 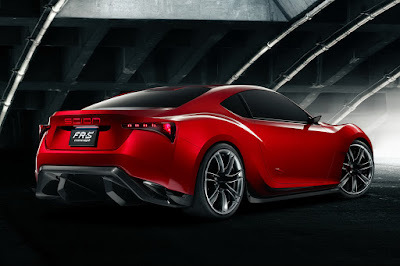 Those are the first official images of the Scion FR-S Concept, making its debut at the New York Auto Show, confirming that the new FT-86 will be sold as a Scion in the States. Also, it seems that it will carry the FR-S badge. If you take a close look, you will notice some minor changes compared to the FT-86 II Concept (earlier post), such as the lack of the front side LEDs, slightly different front and rear bumper design etc.